Ratings Results of Interest: On Sunday, Starz’s Outlander improved to a 0.17 rating with 958K total viewers, delivering its second best outing of its fourth season. That show had dropped to series low levels this year, but it has been trending up the last few weeks and has been doing especially well for a cable show in the total viewers stat. In any case, Starz pays more attention to the numbers for the total viewings for the week plus the digital viewing, and this one has already been renewed through a sixth season. Over on The CW, both its Sunday night shows saw improvements as Supergirl posted a 0.4 rating with 1.3 million total viewers and Charmed had a 0.3 score with 930K total viewers. Those shows are doing relatively well for the fifth place network on highly competitive Sundays. On Friday, Syfy’s Z Nation improved slightly to a 0.15 rating with 436K, but Van Helsing slipped to a series low 0.07 rating with 318K total viewers. That latter series is now down by over 20% from last year’s ratings average and really needs a strong Call to Action from its fans to survive to a fourth season. Over on NBC, Midnight Texas remained low at a 0.4 rating with 1.8 million total viewers as that one verges closer to a date with the Network Executioner. On Tuesday, FOX’s The Gifted improved slightly to a 0.7 rating with 2.2 million total viewers, but that does little to improve its status compared to FOX’s other programming. That is another show that is very much in need of a Call to Action from fans. On Monday, Nat Geo’s Mars remained low at a 0.05 rating with 463K total viewers, though that show’s fate is more closely tied to its global viewership numbers. News Roundup: Netflix announced last week that it was cancelling its Marvel series Daredevil after three seasons but that the character will be showing up in other projects. That is now the third Netflix Marvel series cancelled in the last month and a half following Iron Fist and Luke Cage. 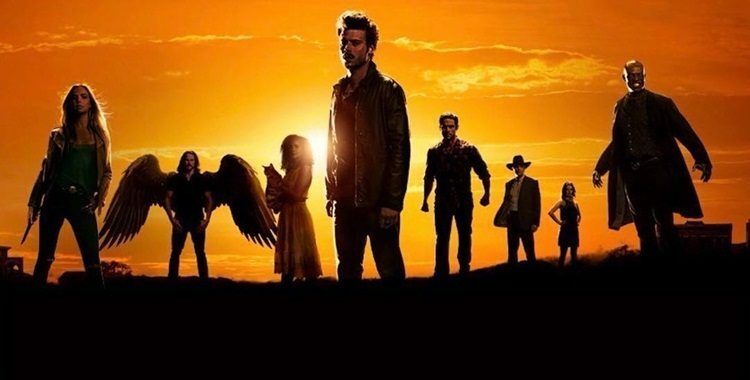 AMC has announced that its supernatural series Preacher will be returning for a fourth season which will air at some point in 2019. In development news, a Blade Runner Anime is heading to Adult Swim, Robert Kirkman is working on a new apocalyptic series, and Netflix is doing a live-action reboot of the Anime Cowboy Bebop. You can read about those and more at this link. The Fall season is winding down now and several sci fi and fantasy shows look like they could become victims of the Peak TV crunch. But the networks are starting to understand that the old school Nielsen ratings no longer accurately reflect the full viewership for their shows, and that offers an opportunity for fans to step up and show their support in ways that the networks will notice. Last year we saw FOX’s Lucifer and Syfy’s The Expanse saved by the streaming services (Netflix and Amazon respectively) after fans took to the social networks (and more) to support those shows. So it appears that an active and engaged fanbase can influence the fate of a show if they rally together. This season, shows like Van Helsing, The Gifted, Midnight Texas, Legends of Tomorrow and more are struggling in the ratings, and Netflix’s Daredevil has now joined Iron Fist and Luke Cage among this year’s cancellations. I have a rundown of all the show currently in need of support from fans at this link. And you can vote on which Fall 2018 shows you want to see return at this link. Arrow (CW, Status – Renewal Possible): This show is down from last year’s numbers and it is almost certainly looking at wrapping up sooner rather than later. Whether it comes back for an eighth season depends on how The CW decides to proceed with its Arrow-verse shows. Black Lightning (CW, Status – Renewal Possible): The numbers are down for this show in its second year and it will not have too many episodes under its belt by season end. The CW prefers to renew shows rather than cancel them, but with the waning popularity of its superhero entries, this one could be the first casualty if its ratings remain low. Channel Zero (Syfy, Status – Cancellation Likely): By all appearances, this one looks to be a dead show walking. Its ratings have been on a continual decline across its four seasons, and Syfy burned off the fourth year episodes across six consecutive nights outside of Prime Time. The show has stirred up some good buzz and has picked up a small but loyal following, but Syfy has been in the cancelling business of late and it looks like this one could be the next to fall. Fans could try to make some noise on the social nets to see if another venue might be interested in picking the show up, though. Charmed (CW, Status – Renewal Possible): The same day ratings for this show may not be great on highly competitive Sunday nights, but it is one of the most watched shows in digital viewing on the network’s website and app. Since The CW has better adapted to the 21st century than the other broadcast nets, it factors online viewing more heavily into its model. This show has received a full season order and should be on track to charm its way into a second season. Doctor Who (BBCA, Status – Renewed): This show is off to a strong start with the thirteenth Doctor (played by Jodie Whitakker) drawing in plenty of viewers to see the first female lead for the series. The numbers have slipped now that the curious onlooker effect has passed, but word is that production has already begun on a twelfth season so expect this show to stick around for several more years. God Friended Me (CBS, Status – Renewal Possible): This show’s numbers in the 18-49 demo are just passable, but it continues to rank in the Top 25 based on total viewers each week. It has received a full season pickup, and if it can continue to post good total viewers stats (older-skewing CBS tends to give more weight to those numbers), then it may survive to a second season. The Good Place (NBC, Status – Renewal Possible): This show’s numbers are down from its second season average, but it is still doing well enough for an NBC show on Thursday nights. If it holds around its current levels, it should be okay. Legacies (CW, Status – Renewal Possible): This one has not gotten off to a great start based same day ratings, but it is one of the most watched shows in digital viewing on the network’s website and app. Since The CW has adapted to the 21st century better than the other broadcast nets, it factors online viewing more heavily into its model. Legacies has received an order of three more episodes (shorter than the usual Back 9 because production got off to a late start) and seems to be on track for a second season renewal. Legends of Tomorrow (CW, Status – Renewal Possible): This show is at series low levels so far in its fourth season, but I believe it is still safe for now. This is the one that can pick up characters from other Arrow-verse shows if the network decides to start trimming down on those. Plus, once a show gets through its third season on this network it usually sticks around for at least 70 episodes (it will be just shy of that at the end of this year), and one more full season gets it to a syndication friendly count of episodes. But some support from its fans on the social networks could definitely boost its prospects. Manifest (NBC, Status – Renewal Possible): This one pulled very strong numbers for its series premiere, though it has seen those drop since then. It continues to see a notable lift from delayed viewing, though, and if it does not drop much further from its current same day ratings then it should be on course for a second season renewal. It is currently on its Winter break and should return with new episodes early in 2019. Midnight Texas (NBC, Status – Cancellation Likely): This show performed relatively well for a Summer entry when it debuted in July of last year, but shifting it to Fridays in Fall has done it no favors. It is currently the network’s lowest rated show and I have moved it to Cancellation Likely Status. I know this one had a pretty dedicated fanbase in its first season, so they need to make some noise on the social nets if they want it to stick around. Outlander (Starz, Status – Renewed): This show has returned down in its fourth season, but Starz pays less attention to the same day viewing and more to the total airings for the week plus online viewing. This is an established franchise for the network that performs well overseas and it has already been renewed through a sixth season. 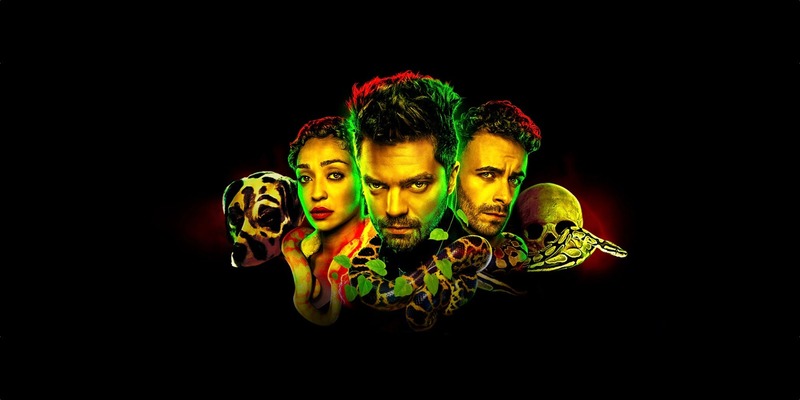 Preacher (AMC, Status – Renewed): This show received a fourth season renewal notice, but that was not a sure thing with ratings down by close to 40% from last year. It may perform better globally and its production is moving to Australia which will likely cut costs. But don’t be surprised if at some point its fourth season is announced as its last. Riverdale (CW, Status – Renewal Likely): This show is running on par with last year’s numbers and it tends to get plenty of attention on the social networks. It also performs very well in its encore runs on Netflix and is on the verge of the syndication stretch. Expect it to be back for at least one more season if not more. Stan Against Evil (IFC, Status – Renewal Possible): This show’s numbers were down a bit in its third season, but it may still have done well enough for an IFC entry. Fans might want to take to the social nets and show some support, though. Supergirl (CW, Status – Renewal Possible): This show is down from last season’s numbers, but it has still done quite well for The CW’s first foray into Sunday night programming in a decade, especially considering how competitive that night is. If it can hold steady at current levels, and if the network remains committed to its Arrow-verse shows, this one should soar into a fifth season. Supernatural (CW, Status – Renewal Possible): This venerable genre entry is down some from last season, but it remains one of the better-rated shows on The CW. The network boss has already said that this one will continue as long as the lead actors want to stay with the show, so whether it has a fifteenth season is largely up to them. Van Helsing (Syfy, Status – On the Bubble): This show’s numbers are down notably in its third season and it is now officially On the Bubble. It is a low-rated third year show not owned by Syfy, and this network tends to cancel those (more on that at this link). Fans need to get active and make some noise on the social networks RIGHT NOW, otherwise this could become yet another Syfy casualty. The Walking Dead (AMC, Status – Renewal Likely): The post-Rick Grimes era has not led to an improvement in the ratings for this show, but it still continues to rank as the top scripted series on cable and also outperforms most broadcast network shows. Expect at least a tenth season from this one if not more. This show is on its Winter break and will return with new episodes in February. Z Nation (Syfy, Status – Renewal Possible): This show has slipped to series low levels, but it may still be on track for renewal. It is relatively inexpensive to produce and a sixth season gets it to a good episode count for a syndication run, so it could stick around another year. But fans should probably take to the social networks to show some support and to boost attention.